apply for your free 15 minute session! Between myself (spending 15 years battling the mind noise with food) and the hundreds of women I’ve spoken to; I asked what their greatest challenge was when it came to living a carefree life and having freedom from food. The challenges were: FRUSTRATION and MINDSET. Women wanted to end the frustration and misery around the perpetual sabotaging cycles of emotional eating to live a life that sets their soul on fire! My mission is to empower women to create a life that's full of joy, is sustainable and unique to them - no one size fits all, here. This program is like NO OTHER! Because only 10% of the program is focussed on food - BECAUSE FOOD IS NOT THE PROBLEM, remember? It’s why food is used to fill voids in your life that you aren’t addressing. And so we address these deeply engrained patterns in a safe, inspiring, connected environment, together. To see you WIN! 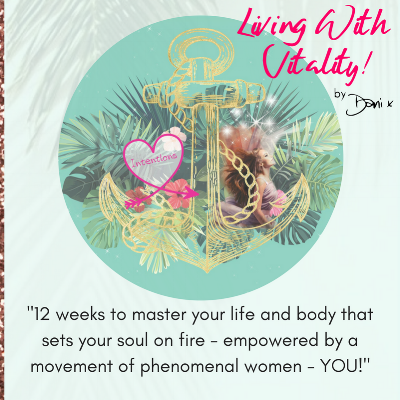 IN 12 WEEKS YOU'LL BECOME THE WOMAN YOU WERE BORN TO BE! Let's find your true self. You know when the smallest thing happens that makes you want to cry or fly off the handle? Yeah.. that’s because your mind has every single memory stored in thousands of filing cabinets, let’s say, of every time you felt a particular emotion. So, when a situation occurs, your mind picks the filing cabinet of that stored emotion, brings out all of the files of those corresponding memories to hit you in one big emotional bomb! To kick off your life-changing journey, I’ll use a simple technique of Time Line Therapy® to effortlessly remove major negative emotions that creates an understanding in your unconscious mind about negative events in your life that have happened in your past, so you no longer feel the emotional charge that you used to. Future situations will be water off a duck’s back. Sound good so far? We go deeeeeeep, super deep to get the answers we need to flip those thought patterns and habits that have kept you stuck and align your lifestyle choices with what you want. These deeply engrained patterns, cycles and hurtful things you tell yourself have been with you, most likely, since you were a small child. What we do is ask the part of your mind questions that we never talk to. We remove those limiting beliefs aka the crappy self talk, designed to keep you safe, and unlock your true potential of what is possible for you as the sabotage melts away, allowing you to take control of your emotional eating and nip it in the bud! Remember, the habits you are desperate to stop have been created by your unconscious mind to protect you - yet it doesn’t serve you. By helping you understand why these habits were created, together, we make your unconscious mind feel safe to release those old habits and create new ones that work in alignment with what you want! Do you want to get back into your wardrobe and feel comfortable in your skin? Or wake up with energy with a spring back in your step? Live a carefree life or stop the constant mind noise around food with those high expectations of yourself - perhaps all of the above! Tell me your desires and what keeps you up at night so we go on this journey together, and make this program work for you. You’ll receive a link to a video just for you to share the outcomes of your Vitality Check to make sure you’re nutritionally covered with no calories or food plan - just the food you enjoy that aligns with what you want for your life and body. Every 3 weeks we'll celebrate your wins and overcome your challenges with a 1:1 online face-to-face session - I meet you exactly where you're at. We'll continue the Breakthrough process and focus on simple mindset tips, exercises and strategies to keep you on track as we remove negative emotions and limiting beliefs that have held you back continuously. We replace your old ways with new habits, as the next layer of your future self is revealed. 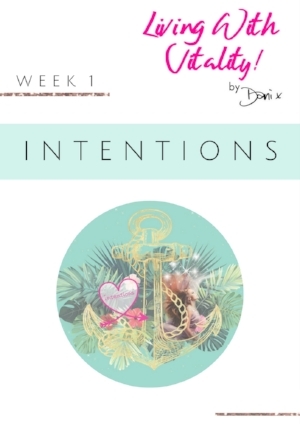 Each week we create mini milestones and every milestone you move through will help bring you closer to what you want. We'll create your next milestone step for the next week ahead based on what feels right for you and where the focus needs to be in that very moment. You'll receive access to Living With Vitality! by Dani; a private, safe Facebook group where you can join many other women like you, all on their journey, just like you. We're there to support, empower and inspire you, whenever you need it. You'll also receive premium content to implement during your journey. 12 Weekly emails delivered to your inbox with a PDF using journal style questions designed to make you think in a way that you haven’t before. Easy, bite sized elements so you're not trying to achieve everything at once! (Because we know what happens there). Each week we focus on an element that will empower you to create change for life. How? By going deep, by creating new habits from the unconscious mind's level that will stop the sabotage - for life! The questions and exercises are where you discover your complete self, so that you can change your limiting beliefs and patterns that align with how you want to FEEL. Women are craving true connection, to feel like they're part of a collective to lift each other, honour and share their journey. To feel like they're not going it alone and most importantly, be comfortable enough to truly be themselves with no conditions. (maybe you're not sure who this woman is outside of 'Manager', 'Wife', 'Mum') Let us help you discover her..
Each month you share your Wins and Learnings to celebrate each other's milestones. It's a chance for you to ask questions, perhaps you feel like you're the only one experiencing what you're going through, until you see familiar comments from your tribe! We then problem solve. I offer you my knowledge and experience on how to overcome each question or situation. Let's help you stay there! That's right, over the 12 weeks you have access to me via the Facebook Group - to reach out and ask any question along the way and to help you through a rough patch. This journey is not a linear one, so we help you navigate those times when you need that extra support. The time has come for you to set yourself free. You're ready to become the woman you were born to be. You’re DONE with dieting and don’t want another freaking food plan! Let's put to bed all of the sabotaging cycles that have kept you stuck. This 15-minute Vitality Laser Session is to talk through what keeps you up at night; what is it, that has continually prevented you from achieving your goals. Let's face it, we all know what we 'should' do be doing but it's the 'what's actually happening' that I can help you uncover and THIS is where the gold lies. Because once we've uncovered why you keep sabotaging what you know is best for you; the rest becomes clear.